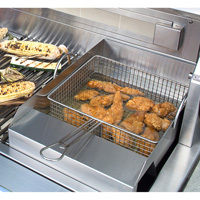 The Alfresco AGSB-G Griddle For Side Burner features a 3/16 In. 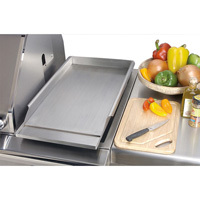 solid stainless steel plate with side and back splash, great for teppan, fajitas, breakfast, or juicy burgers. 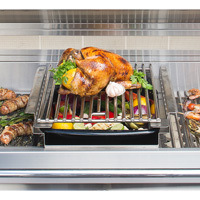 The Alfresco AGSQ-G Griddle For Grill Mounting features a 3/16 In. 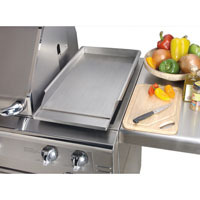 solid stainless steel plate with side and back splash, great for teppan, fajitas, breakfast, or juicy burgers. 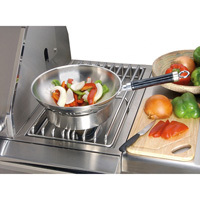 The Alfresco AG-WOK 14-In. Commerical Wok allows cooking with a smaller wok and a handle.